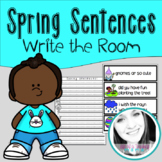 This download contains 8 spring-themed pages that you can use with your students to help them practice their sentence writing skills. 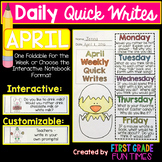 Print and post around the room. 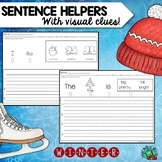 Students find the pictures and write the sentence on the recording sheet. 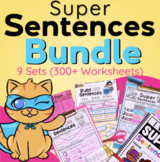 Includes eight sentences. 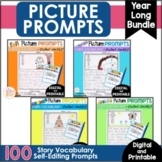 Makes for a fun, engaging learning station! 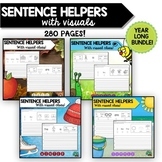 Sentence Helpers are an amazing way to provide independence or emerging writers! 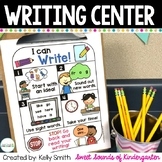 Students are abel to select which words they want to use. 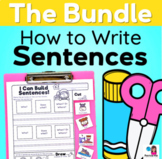 There are multiple variations and repetition of words for practice. 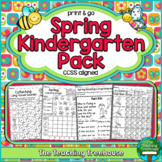 This is a FREE spring sample set! I am sure you and your students will find great success! 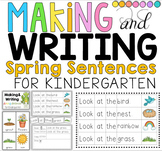 This download contains spring-themed writing pages that you can use with your students to practice sentence writing skills. ENJOY!! 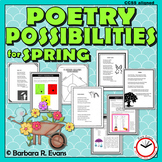 Spring: Build it & Write! 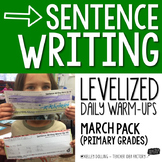 Daily sentence writing practice that is levelized to meet the needs of all the different levels in your class?? Yes, please! 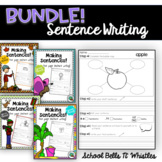 This fun Sentence Writing Warm-Up packet was designed to target basic and detailed sentence composition in a quick and easy to implement manner for the ENTIRE month of March.